Now also available in Grapefruit & Geranium! Awaken your senses with this highly nutritive and deeply moisturizing organic body cream, which combines the nourishing properties of a soothing blend of oils, with Shea, Cocoa, Kokum and Mafura Butters. Sense has a luxurious texture: buttery and rich, but highly absorbent. Naturally scented with refreshing Rosewood & Orange or with balancing and toning Grapefruit & Geranium essential oil, Senses smells divine. Senses organic Body cream Leaves the skin soft and deeply nourished. Instant relief for even the most stubborn dry and inflamed skin. Great for stretch marks. SKIN TYPES: Suitable for all skin types especially for sensitive skin and skin prone to eczema & psoriasis. USE: A Use daily as a nourishing and soothing hand & body cream. Priced for its essential fatty acid and Vitamin E content, Kokum Butter has excellent emollient, regenerative and anti-oxidant properties. It is often used as a substitute for Cocoa Butter because it is non-comedogenic and more quickly absorbed into the skin without leaving a greasy feel. Kokum butter helps to reduce fine lines and wrinkles and has the ability to soften and soothe the dry, irritated or burnt skin. There’s always something new to discover in the skin care industry as new products are being developed every day. But the most intriguing and worthwhile discoveries have actually been around for centuries or longer. They’ve been used by indigenous peoples as dietary and medicinal staples and are often the source of skin care products they use to resolve dry skin, eczema, blemishes, aging and just about anything else that can go wrong with the skin. Mafura butter is one of those ‘new’ discoveries, and definitely deserves a place alongside your other favorite natural skin care treatment. What is mafura butter? It comes from the fruit of the Trichilia emetica tree, also known as Mafura butter, Natal Mahogany, Cape Mahogany and Christmas bells, an evergreen grown in low altitude areas of South Africa. It grows clusters of fragrant creamy-yellow flowers, and fruit that contains six black and scarlet seeds. The oil is extracted from the seeds and solidifies at room temperature giving us mafura butter. Why is mafura butter great for the skin? It is rich in palmatic, stearic, oleic and linoleic acids: fatty acids that are vital for good health, and for natural skin care. In fact, many of the skin care products you see on the shelves today are sought after simply because they contain these acids. They are the ‘new’ anti-aging ingredients. 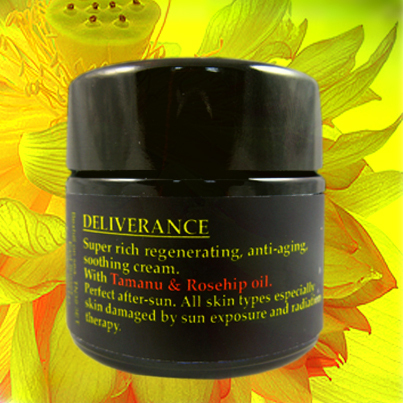 Gives softness, nourishment, protection, but the thing it is best known for is helping reduce stretch marks. Pregnant women will often use cocoa lotion to help ensure their tummies are soft and pliable and don't stretch too badly. After the baby is born it can also be used to help the skin recover.